We are here for you. 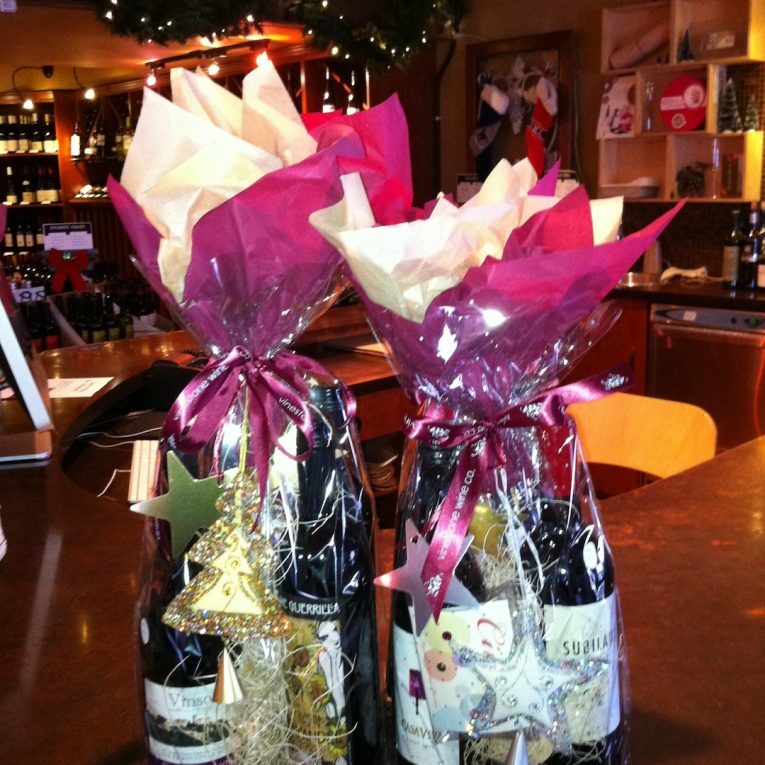 We have many options from gift baskets and bags, to wine wine club subscriptions, and tasting certificates. We can help you create the perfect gift for the hard to buy for people on your list, and will work with you to design a gift to fit any budget and suit any style. 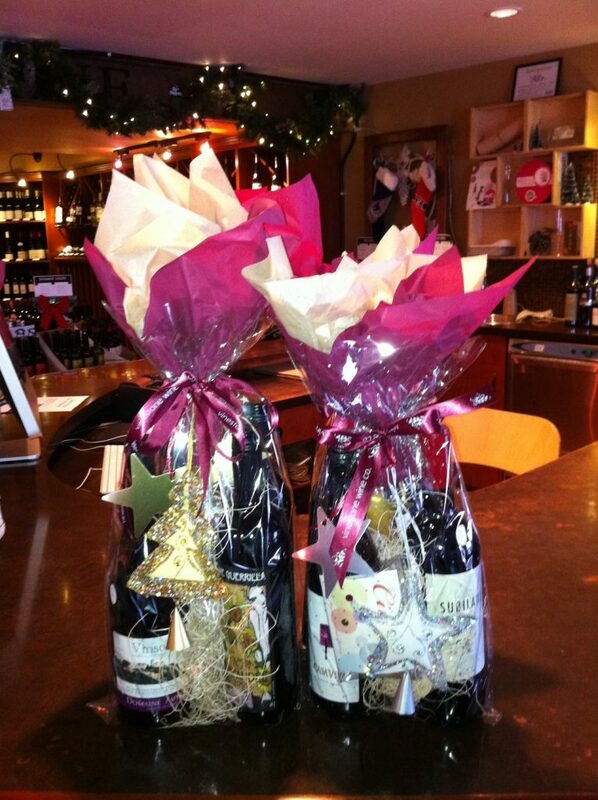 In addition to beautiful Gift Baskets, we can build two-bottle gift bags to suit any taste or budget. Two whites, two reds, a white and a red, which ever you like. 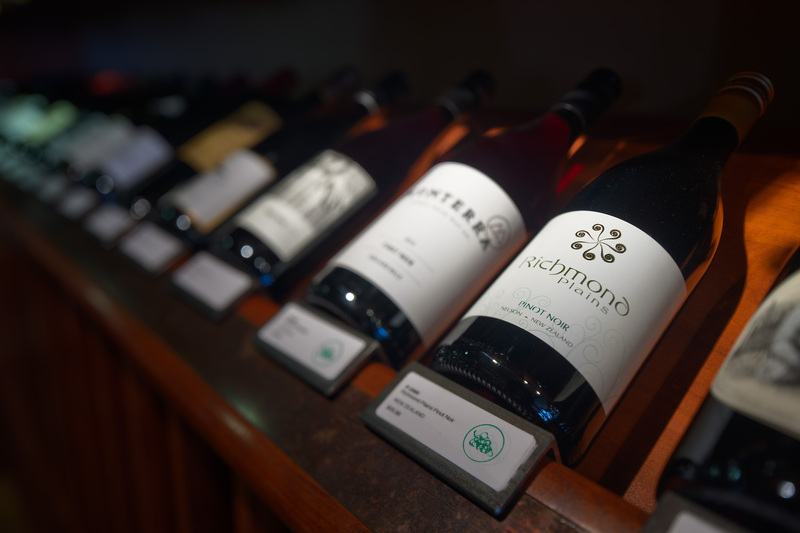 You may chose the wines or have us curate them for you. 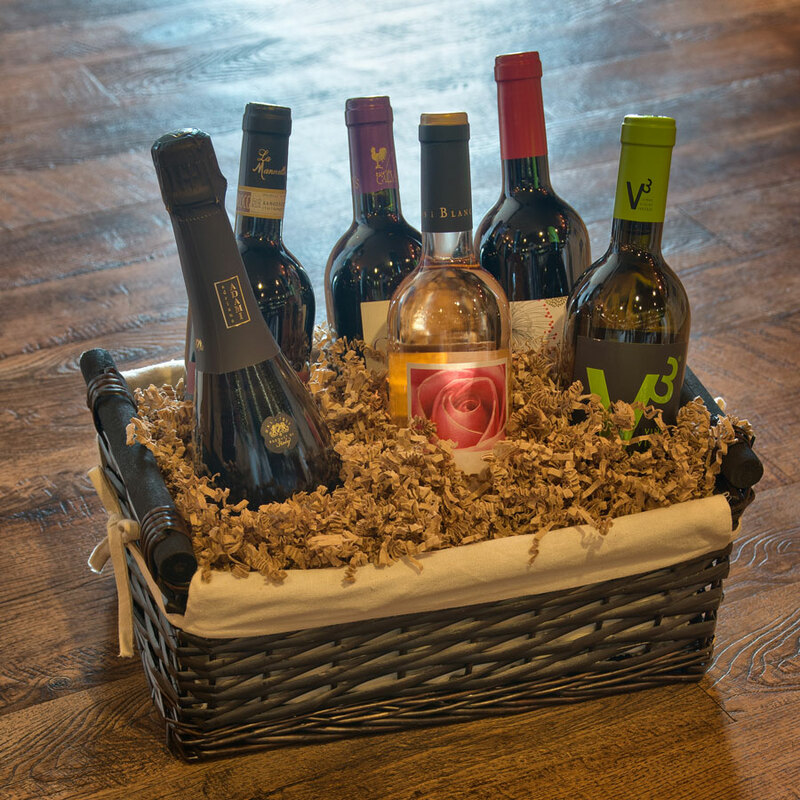 Vinestone offers gift cards in any denomination, we can also process phone orders. 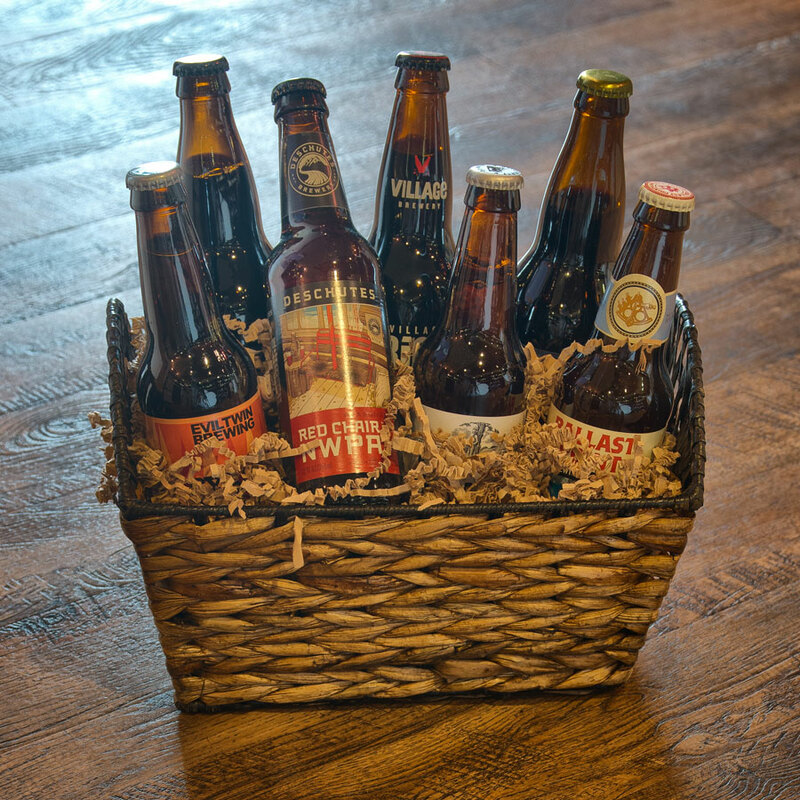 Give the gift of Growler Fills! We also have gift certificates specifically to use toward 64 or 32 oz growler fills. Most Saturdays we run casual but informative tasting events. We do offer gift certificates to use specifically for tastings if you prefer, instead of a standard gift card.